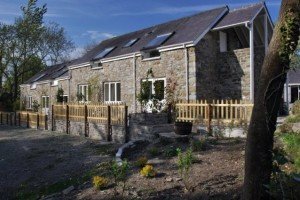 If you enjoy your own space, then Penbontbren at Glynarthen, close to the Welsh market town of Cardigan, is the B&B for you; it boasts five luxurious suites that each have their own sitting room and garden area. 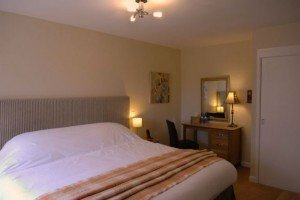 The scale and standard of the suites rivals anything that a five-star hotel could offer, and is some of the finest bed and breakfast accommodation that you’ll find anywhere in Britain. 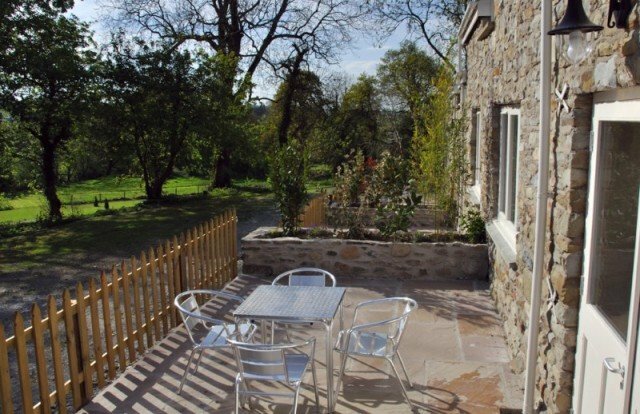 This five-star gold-rated accommodation is set in 32 acres of grounds surrounded by glorious Welsh countryside and with views towards the Preseli mountains. It’s only two miles from the Ceredigion coast and its beautiful National Trust-owned beaches. The nearby village of Tresaith has a sailing club and races take place most Sundays. This part of the coast has many scenic walking routes, from which you may be lucky enough to spot dolphins, grey seals and a wide variety of seabirds. Popular nearby visitor attractions include Aberglasny House and Gardens, and the longest cliff railway in Britain at Aberystwyth. There are also plenty of cycling routes and fishing opportunities in the local area, not to mention some great places to dine out. Richard Morgan-Price, who owns and runs Penbontbren, will be more than happy to advise you on the best places to eat. You can also stock up on provisions at the award-winning farm shop at the end of the lane. 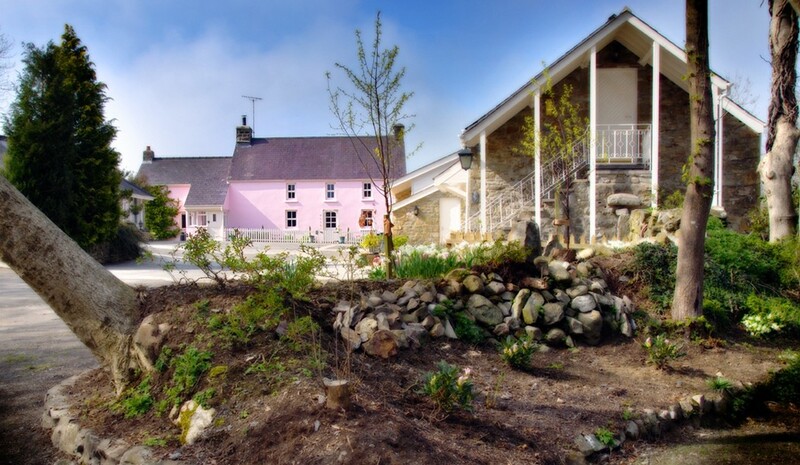 Penbontbren has won the prestigious Visit Wales Gold Award every year since opening and has also been awarded the 2016 Travelers Choice Award by Trip Advisor. 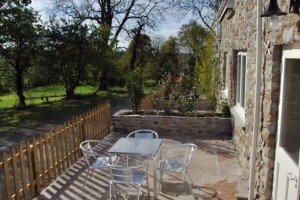 Penbontbren has been cleverly transformed from an old Welsh farm into cosy but stylish guest accommodation. 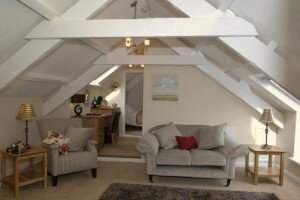 Its name means ‘above the wooden bridge’ and the conversion of the original farm buildings earned Richard an award for his attention to detail. None of the beauty and character of the farmhouse and buildings has been lost; in fact it has been accentuated thanks to a clever use of natural materials and the care taken to preserve original features. The bed and breakfast suites are located in the converted farm buildings, whilst the original farmhouse is available to rent on a self-catering basis. 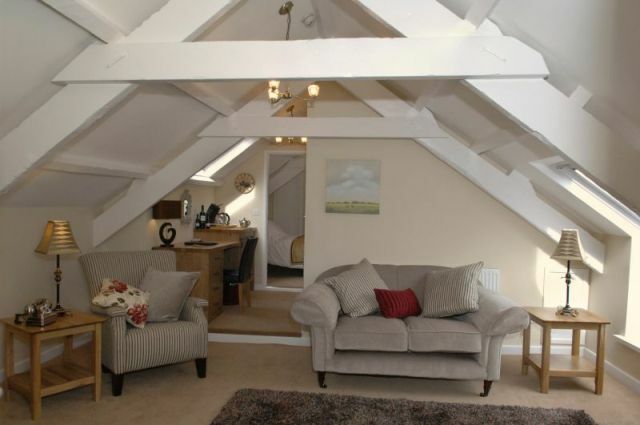 The B&B suites are decorated in a contemporary, country style that creates a homely yet classy feel. 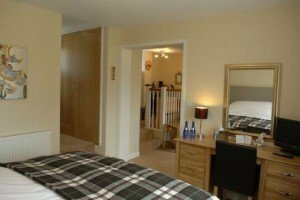 They each have a king-sized bed; a flat-screen television; an iPod docking station; a refrigerator and mini-bar; complimentary refreshments, including homemade biscuits; and a smart, white en suite bathroom with toiletries by The White Company. 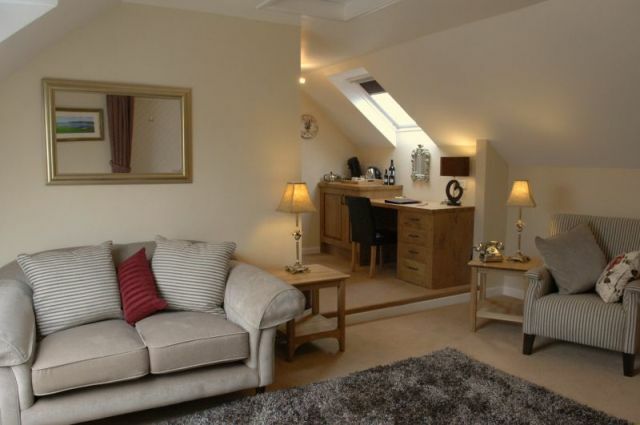 With your own terrace leading onto the garden, and your own comfortable and spacious sitting room, you may just have trouble dragging yourself away from your suite. The holiday cottage comprises a double, en-suite bedroom; a double/twin room; a twin room suitable for children up to 15 years; a ground floor single room; a family bathroom with bath and shower; a well equipped farmhouse kitchen; a small conservatory leading to a private, enclosed garden with garden furniture; and two sitting rooms, one with an inglenook fireplace and woodburing stove. 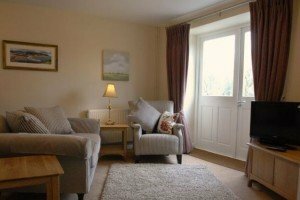 The cottage is decorated and furnish to the same high standard as the suites. Suite prices range from £95 to £115 per night, depending on the time of year. Penbontbren’s hearty Welsh breakfasts are cooked using fresh, wholesome ingredients that are locally-sourced and organic wherever possible. This includes free range eggs, award-winning sausages and local, cured back bacon. Breakfast is served in the breakfast room, but can be brought to your suite for a small surcharge. Guest staying in the self-catering accommodation can also opt to pay a surcharge to have breakfast. You have found a wonderful place to stay and Boutique and Breakfast is committed to giving you a personalised service so that you can find the right room at the right price. Simply fill in our enquiry form and within 24 hours you will receive a response from Penbontbren tailored to your needs. This will be in the form of either a telephone call or an email. We were greeted by Richard, who immediately made us feel at home. Our suite was excellent with a comfortably furnished lounge and spacious bedroom with a huge bed and crisp clean linen.